Excellently named Leeds band Just Handshakes (We’re British) have been snapped up by Spanish indie pop label Elefant for the release of this their fourth single. Forming part of Elefant’s New Adventures in Pop series of limited edition 7” colour vinyl singles, this four track single (which is also available to download) shows a band that could be a real force within the UK indie scene over the coming year. All four tracks, most notably the title track and ‘Brakes’ are tight, catchy indie-pop with the added bonus of their remarkable vocalist Clara Patrick. Whether you share our appreciation of Just Handshakes will rely on your feelings towards her vocals. To those unfamiliar with female folk singers across the north of England her singing style with its Yorkshire lilt may seem a little jarring. We advise those that think that way to pick up some music by artists on Leeds No Masters label like Chumbawamba and Jo Freya, have a good listen and then return to find a new appreciation in Patrick’s distinct indie-pop take on traditional folk singing. As folk and indie fans Just Handshakes are just perfect for us at Neon Filler and we look forward to hearing a debut album in the near future. To hear the tracks and download the single click here. Veteran music journalist Kris Needs has been back to his record collection for a follow up to last year’s compilation Dirty Water: The Birth of Punk Attitude. Once again he’s gone for an eclectic set of influences of punk, from Germany’s Faust to George Clinton’s Parliament and from 1960s obscure acts such as United States of America to the political charged folk of Woody Guthrie. As with the previous collection it is a fine record of how punk developed and this time around features some of the earliest new wave and punk acts. Blondie’s 1976 track X Offender gets a spot and shows just how much 1960s girl groups influenced their take on new wave. Across the 39 tracks there is also a welcome place for ‘Freakin Out’, another stormer from mid 1970s Detroit trio Death, and among our other highlights is the Tom Verlaine guitars on the intro to ‘Man Enough To Be A Woman’, by Jayne County. There’s some familiar tracks ‘Suffragette City’ by David Bowie, ‘In The Street’ by Big Star and ‘Zig Zag Wanderer’ by Captain Beefheart and His Magic Band, but it is the obscurities that make this compilation such a stand out for us. ‘Children of the Sun’ by The Misunderstood and ‘The Story Of My Life’ by The Unrelated Segments are among our obscure highlights. Also worth noting is the influence of reggae on punk. It is ‘Police and Thieves’ by Junior Marvin, which was later covered by The Clash, that is the welcome inclusion from the genre on this set. As with any 39 track compilation it doesn’t all work. Jazz man Dizzy Gillespie’s style may have influenced punk, but his track ‘Bepop’ seems out of place here. The same can be said of The Silhouettes, who may have had a DIY approach to making music, but the barber shop track ‘Headin’ For The Poorhouse’ doesn’t quite work on this compilation. These are small criticisms though. Dirty Water is fast turning into one of the best set of compilations around and we look forward to more obscurities being unearthed should a third volume be on the cards. See Also: Dirty Water: The Birth of Punk Attitude. Veteran rock journalist Kris Needs has been back to his record collection this year for a follow up to last year’s excellent compilation Dirty Water: The Birth of Punk Attitude. Once again he’s gone for an eclectic set of influences of punk from Germany’s Faust, to George Clinton’s Parliament from the 1970s, through to 1960s obscure acts such as United States of America and even further back to the political charged folk of woody Guthrie. As with the previous collection its masterful shows how punk developed and this time around features some of the earliest new wave and punk acts. Blondie’s 1976 track X Offender gets a spot and shows just how even 1960s girl groups influenced punk. Across the 39 tracks there is also a welcome place for ‘Freakin Out’, another stormer from mid 1970s Detroit trio Death, and the Tom Verlaine guitars on the intro to ‘Man Enough To Be A Woman’, by Jayne County are a thing of great beauty. Also worth noting is the influence of reggae on punk. It is Police and Thieves by Junior Marvin, which was later covered by The Clash, that is a welcome inclusion on this set. As with any 39 track compilation it doesn’t all work. Dizzy Gillespie’s style may have influenced punk, but his track ‘Bepop’ seems out of place here. The same can be said of The Silhouettes, who may have had a DIY approach to making music, but their barber shop singing style and track ‘Headin’ For The Poorhouse’ don’t quite work on this compilation. Heading down to Brighton’s Resident Records at 7.15am I was shocked to see that the queue already stretched to the end of the street. This was a pretty clear guarantee that any items I was interested in would sell out before I got there, so I headed a few streets away to join the long (but significantly smaller) queue to Rounder Records. Somewhere around 9.20 I entered the shop, and around 15 minutes later I was at the till. By this time a number of the ticked items on my list had already sold out, but I did manage to pick up four of the records I had selected. Now, one quick whinge. Record Store Day is a celebration of the record shop, but also of the record shop customer, so would it have killed the record labels to make the items a little bit cheaper? I know that the items are limited, but the cost of most of them was almost double what you would expect to pay for a similar record normally stocked in the shop. The Flaming Lips box-set was a nice package, and contained their five best albums, but was an eye watering £99. But hey, I guess that nobody is forced to buy anything. So, on to the records. Here is my first-impressions review of the three singles and one CD EP that I picked up on the day. The Broken Bells album was one of the best albums of 2010 and Brian ‘Dangermouse’ Burton seems to have developed one of his many excellent partnerships with The Shin’s James Mercer. The Meyrin Fields EP is an evolution of the sound found on the album. Nothing radically different but the emphasis here has shifted a little and the tracks have more of the electronics, bleeps and sounds that you would associate with Dangermouse, and less of the melodic guitar pop you’d expect from the Shins frontman. This is particularly true of the title track and ‘Windows’ both of which sound like Broken Bells but wouldn’t have fitted in neatly on the album. ‘An Easy Life’ moves back to the more familiar sound and features some strings and effects that recall ELO. ‘Heartless Empire’ mixes cheap keyboard sounds with Jesus and Mary Chain guitar and is probably the song with most in common with the Shins. In all an interesting and intriguing set of songs which we can only hope is a teaser for another full album lateer in the year. Just a couple of months after the surprise release of The King Of Limbs Radiohead deliver two new songs ‘Supercollider’ and ‘The Butcher’ as an exclusive 12″ single. It is no surprise to report that the band haven’t decided to go back to The Bends’ style indie guitar pop for this release, it is very much a counterpart to The King Of Limbs. ‘Supercollider’ is a long mellow track that will be familiar to anyone who has seen the band live at recent concerts, although it was new to me. It is track with precious little drama but as an exercise in atmospheric mood music it is very well executed. ‘The Butcher’ is more interesting with some doom laden piano and echoed funky drumming be the main backing to Thom Yorke’s typically ethereal vocals. Not a release that will convert any listeners who have tired of the current Radiohead sound, but a couple of tracks that fans of The King of Limbs will love. I’m not familiar with Casiokids, but I picked this up as I’ll buy anything that the great Kevin Barnes (AKA Of Montreal) releases. ‘Expecting To Fly’ is a production heavy version of the Buffallo Springfield song featuring just piano and some multi-tracked vocals. It would probably be a big disappointment to someone wanting the more histrionic Prince influenced Barnes as featured on his last couple of albums, but is is actually a very effecting performance and makes me wish that Barnes would do an album of more low key tracks to showcase that side of his personality. ‘London Zoo’ starts with a dour organ sound and some synth trumpet before a range of instrumental sounds and some sprightly drum machine kick in. The vocals are high pitched and the (presumably) Norwegian lyrics make it impossible for me to identify the songs meaning, which initially sets up a barrier for me. However, it is a really interesting building sound with a nice bass groove running throughout. Certainly enough for me to give the bands album a try. I like the Fleet Foxes and their debut album is a joy, and one of those rare albums that everyone seems to like, but this is one of the weakest Record Store day releases. Not on a musical level but as an artifact. It features two songs that will both be on their much anticipated second album one of which is freely available already and the other has received radio play (and the subsequent illicit distribution). So in terms of exclusivity it is pretty weak, and at £7.99 it is quite an expensive promo. However, I got carried away, and a little flustered in the queue, and I only have myself to blame. The songs themselves are good if unexceptional and lack the impact that the band had when they first appeared. It is inevitable that second time around the band is going to sound more familiar and it means that they have to raise their game more than is on evidence here. ‘Helplessness Blues’ is nice enough but the vocals seem less haunting and the melodies less inspired than on their debut. ‘Battery Kinzie’ is a more upbeat piano lead effort that brings Simon and Garfunkle to mind, it is an enjoyable few minutes and shows that the band want to try something more than just emulate their first album. 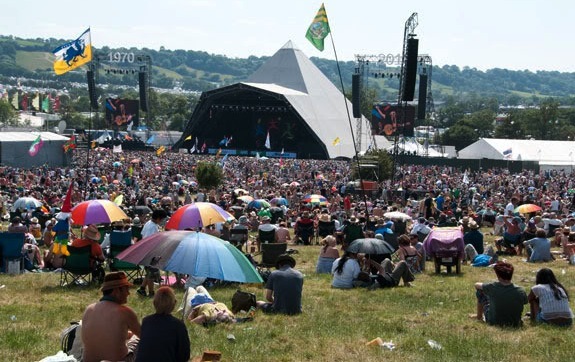 The full 2011 Glastonbury line-up has been revealed and features some real gems on the smaller stages. If Beyonce, U2 and Coldplay on the main Pyramid stage aren’t your thing then we recommend spending some time at the Park Stage on Saturday to see a great mid afternoon to early evening run featuring Those Dancing Days, Graham Coxon, The Walkmen and Australian psychedelic indie act Tame Impala. Also on the Saturday night folk veterans Pentangle will be putting on a set on the Acoustic stage. On the Friday night we recommend 1980s act Big Audio Dynamite, making a welcome return to stages across the UK as part of their reunion tour. On the Sunday Ok Go on the John Peel stage are sure to put in a fine set. Meanwhile on the John Peel stage on Sunday the evening features TV on the Radio and The Eels. It’s an eclectic festival of great music, that is if you are prepared to venture beyond the Pyramid stage. Having said that Paul Simon’s Pyramid stage set on Sunday looks tempting, as does Morrisey’s on the Friday. This Saturday sees Record Store Day hit independent record shops worldwide offering a range of exclusive vinyl releases. Some items are limited to just a few hundred copies and collectors will be queueing early to make sure to get their hands on a selection of the goodies on offer. The artists releasing records on the day are a diverse bunch ranging from the Beach Boys to Nirvana to Of Montreal to Van Der Graff Generator. For a full list of the records being made available go here. Probably the most in-demand item will be the Radiohead 12″ which is limited to only 2000 copies. Although not quite as exciting as last years Blur reunion single ‘Fools Day’ it is good to have one of the biggest bands around contributing to the day. I’ll be hoping to pick a copy up along with Nirvana’s Hormoaning EP, a split Of Montreal/Casiokids 7″ and a soundtrack single from the two 1960s Dr.Who feature films. I’ll be heading down to one of my local record shops, and I’m lucky to have three participating outlets, Resident, Rounder and Ape, all taking part. To see a list of participating shops and find one near you go here. My advice is to get there early. Last year I arrived an hour early and was in the queue behind the last person to pick up a Blur single. I still enjoyed the day, picked up some nice collectibles, and took part in something that celebrates record shops and anything that gets people through the doors off these increasingly rare institutions has to be a good thing. Bill Callahan’s Apocalypse is a very different proposition to his last album. While on 2008’s Sometimes I Wish We Were An Eagle he used sweeping orchestral movements and a full band feel to create an intimate album, on Apocalypse he has gone the other way, using a stripped back, intimate sound to create something altogether more expansive. Huge issues such as American colonisation and wars in Afghanistan and Iraq are covered here, albeit in Callahan’s usual meandering way. With its small band feel, punctuated with squealing electric guitars and flutes, Apocalypse can be an unsettling listen at times, but not for too long as Callahan’s luxuriously deep voice has a calming influence and can easily draw you back to normality. Loosely based around the theme of Callahan sitting in a hotel room looking out at the world , the album starts with his thoughts turning to the expanse of the US on ‘Drover’ and the colonisation of the wild west. He then moves to more global concerns in the deserts of Afghanistan and elsewhere on the album’s centrepiece ‘America’. By final track ‘One Fine Morning’ it’s time for his droving to end. Along the way on this global journey there’s some of Callahan’s best work, especially ‘Riding for the Feeling’, in which his thoughts are back temporarily in his unspecified hotel room somewhere in the world. While markedly different in tone and subject matter to his previous album Apocalypse is unmistakably Callahan and a welcome addition to his back catalogue as both Smog and under his own name. When former Microdisney member Sean O’Hagan started the High Llamas in the early 1990s it was a pretty safe bet that Brian Wilson wasn’t going to be releasing any good records any time soon. So he set about releasing a set of acclaimed albums that openly borrowed the classic sound of post-Pet Sounds Beach Boys. The albums may be released less frequently (averaging every four years now) but Talahomi Way doesn’t stray far from the blueprint. On my first few listens I was unimpressed, the arrangements were nice enough but the airy feel and Beach Boys impressions just didn’t seem enough. A week or so later I tried again, by this time the weather had changed and the sun was shining brightly, this time it all seemed to make sense and I loved how bright it sounded. Listening to this album with a positive attitude makes a real difference. It is light and airy music for sure, but there are a couple of key facts that make it worth a listen; 1. there isn’t another act that does the Brian Wilson this well. 2. There are few people around who arrange instruments as beautifully as this. And, it is this instrumentation that makes the difference. Listening to the opening track, ‘Barry Adams’, you hear Brian Wilson but with subtle additions that make a difference. The strings that come and go through the track, the Stereolab style keyboard breaks (Tim Gane from that band was involved in the album) that add a little extra depth to the sound. O’Hagan has arranged for Stereolab several times and many of the tracks here have a kitsch 60s lounge feel that recalls the band circa ‘Dots and Loops’, not a massive leap from the template but an indicator that O’Hagan is interested in more than just aping Pet Sounds. 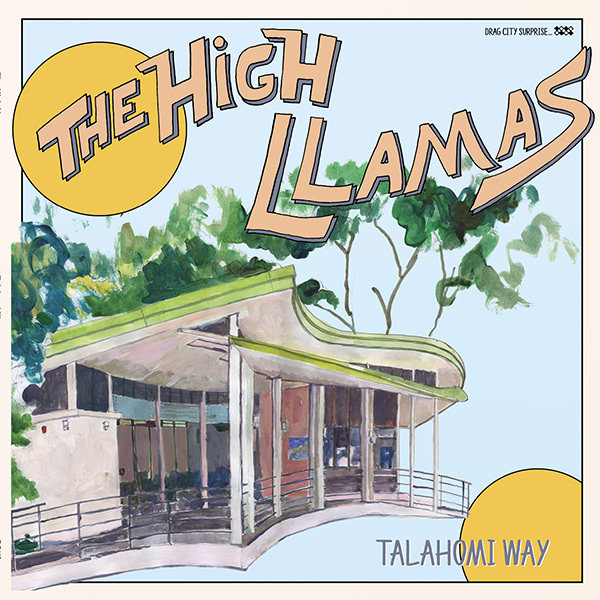 The largely instrumental ‘Talahomi Way’ adds more classic 60s sounds to the album, recalling most of all John Barry’s soundtrack to Midnight Cowboy. ‘Angel Connector’, another instrumental, breaks from the pattern more radically and brings Cornelius to mind, another of O’Hagan’s past collaborators. The rest of the album follows the same pattern, a smattering of instrumentals, some cool 60s sounds and the classic Beach Boys sound that O’Hagan clearly genuinely loves. It really is a lovely way to spend 40 minutes of your time and the more you listen the more you hear, the instrumental touches are of such a high calibre that it is no surprise that the bands output is so infrequent.